You may or may not have heard of Multi-Level Marketing (MLM) before, but you probably have heard of its dubious nickname: the pyramid scheme. Not every MLM is a pyramid scheme, but people often assume. The term, pyramid scheme has a sordid history fraught with tales of fraud, relentless sellers refusing to take “no” for an answer, and shady products that don’t live up to the hype. The thing is, multi-level marketing and “pyramid scheme” are actually two different things. People who work in MLM make money based off the sale of goods they obtain from the company at wholesale prices. A “pyramid scheme” rewards people for signing up others into the scheme without actually generating any type of sale. “Pyramid schemes” are illegal because they don’t actually involve any commerce happening. While there have been MLM companies and salespeople in the past that more than earned the designation as the dregs of the entrepreneurial wine bottle, MLM is, in fact, a solid business to get into and some folks have had a tremendous amount of success within it. As previously stated, it’s possible to make a living within the system and business models provided by MLM. As a matter of fact, for the right kind of person (which we will get into later), MLM can be a valuable learning experience. Below are some of the pros of signing on to do MLM. There’s little risk – The inexpensive startup cost means that there’s very little risk involved with MLM. If you get involved with an MLM business and quickly find out it isn’t for you, you’ll only be out the hundred or so dollars you invested in the beginning. In contrast, other small businesses that fail can leave the owner in debt for a very long time and can often result in declaring bankruptcy if they can’t repay their business loans. You Make Residual Income – When you sell someone your product, and they subsequently buy more of it, you make something off of that sale even if they didn’t buy directly from you. The income potential is massive – One thing MLM offers that precious few other companies do is no income ceiling. Most people who work for other companies, whether they’re salaried or work hourly, will only make what they agreed to be paid when they got the job regardless of how much work they do. Granted, a lot of companies offer bonuses, and working hard can lead to promotions and raises, but those raises don’t necessarily reflect the amount of work that you do. With MLM, the harder you work and more successful you are, the more money you make. The company will never throttle your pay. 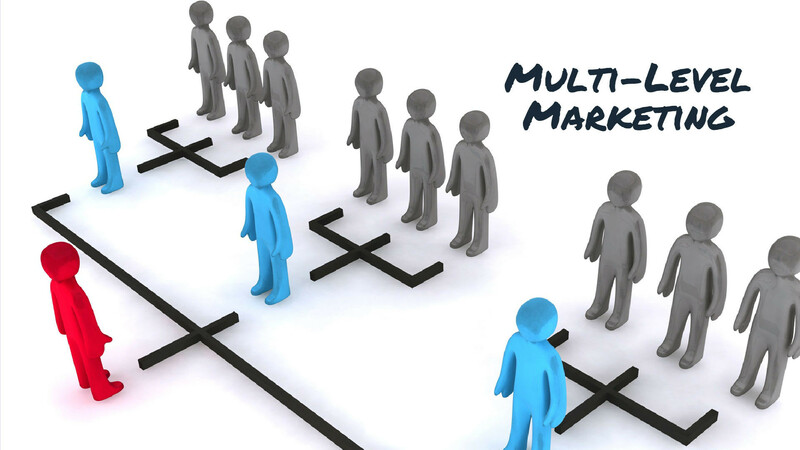 There are other perks to working in the MLM system, such as no need to hire employees, portability and low operating costs. Unfortunately, despite all these perks, few people end up reaching the top level in these businesses – and for good reasons. MLM is marketed to potential entrepreneurs as an easy, low-cost way to financial and personal freedom. The problem is that while MLM is indeed low-cost, it’s by no means easy; especially if you’re not into sales. Consultants at TLK Fusion Marketing suggest that a person treat their MLM endeavor as an actual business. Look at what the various companies sell and pick the one that has the most useful product while avoiding the ones that seem like a fraud (they still exist). Then, figure out who your potential market is and work on selling it to them. Learn how to market your product like any other business would. If you sell vitamins and supplements, you want to reach people who are already interested in health and wellness, not try to convince everyone you come across why they should start buying from you. Sales is the driving force behind MLM, and not everyone has the knack for it. If you’re not a people person or you’re not interested in trying to sell a product, then MLM is definitely not for you – and that’s okay. Not everyone is cut out for sales, nor does it mean that you can’t be an entrepreneur. If sales isn’t your passion, simply look in another direction for something that is.